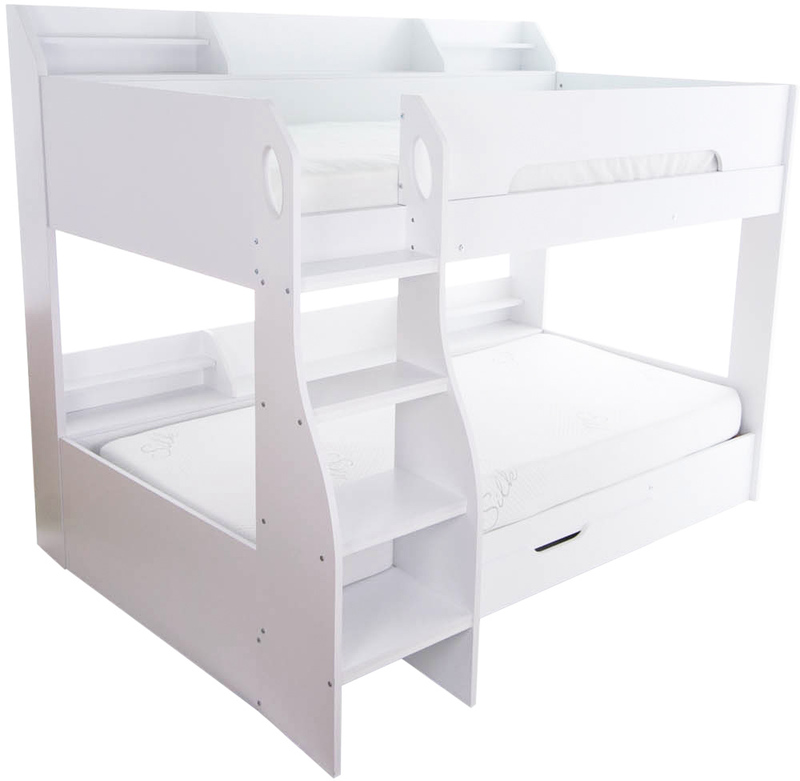 The Flair Furnishings Flick bunk bed in an all white finish features built in bedside shelving, under bed storage and a reversible position ladder with deep steps. 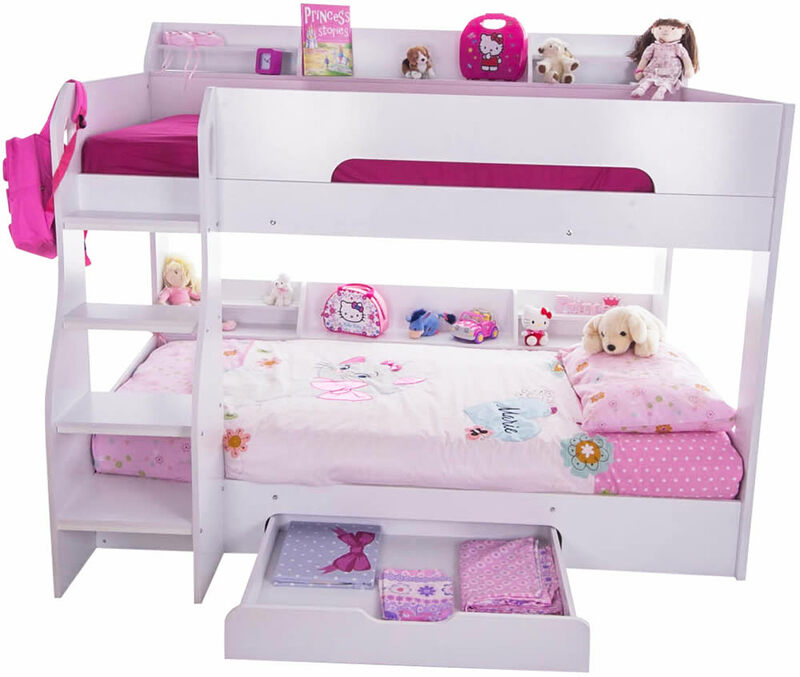 A sturdy modern bunk bed design with handy built in bedside storage shelving that goes the full length of the top and bottom beds. 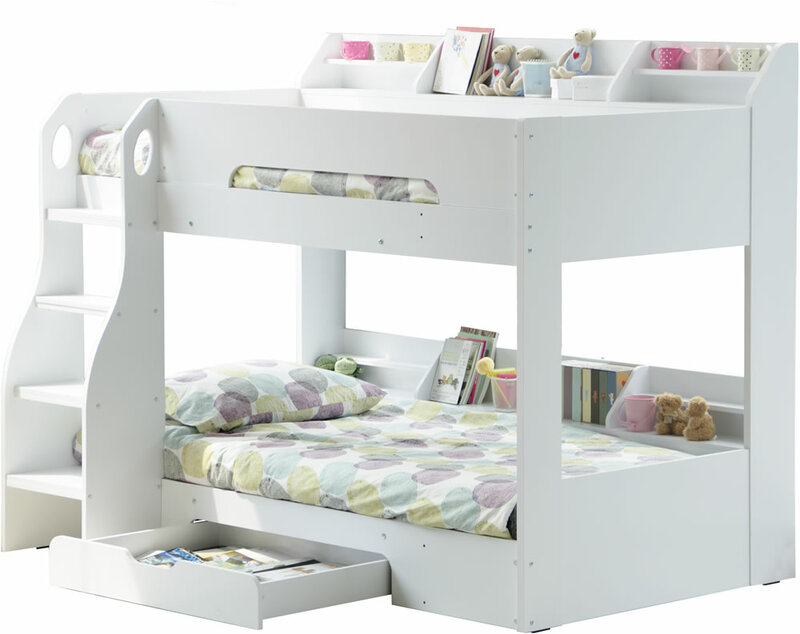 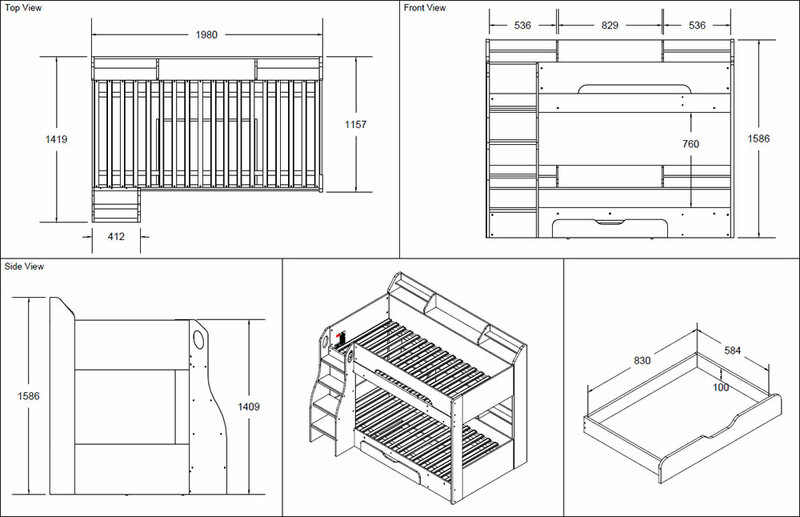 Both bunks have slatted bases offering maximum airflow to the mattresses for a better nights sleep. 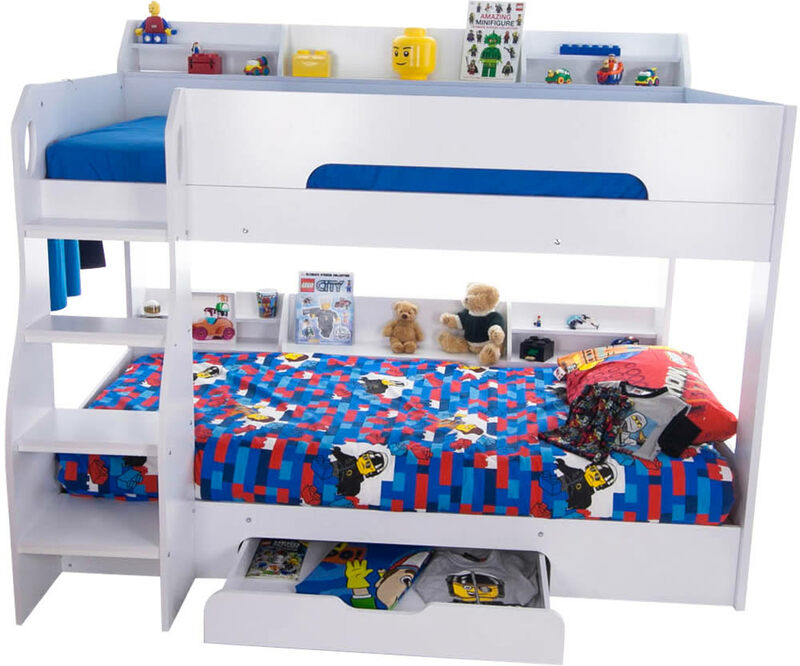 The flick bunk bed has an easy climb four step ladder with deep steps, hand grip cutouts and it can be assembled to the front left or right side of the bed frame to suit the bedroom layout.